December 4, 2015 marked the 100th anniversary of closing day at the Panama-Pacific International Exposition. 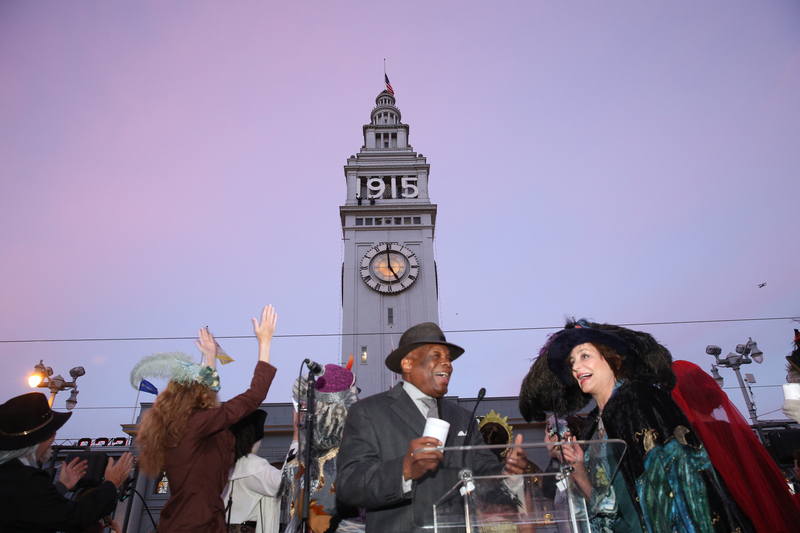 To mark this momentous occasion, Donna Huggins, the official Spokesperson for the Centennial of the Panama-Pacific International Exposition arranged for a final ceremony at the San Francisco Ferry Building, which has been adorned with “1915 lights” to mark the Centennial. Read more about this event in the San Francisco Chronicle, and view a slideshow of photos from the event online. Emperor Norton and Lola Montez. Photo by Stuart Locklear.